Students need to eat healthy foods to achieve academic success, to experience proper growth and development and to prevent chronic disease. Adolescent and adult obesity continues to be a serious problem throughout the country, with 34 percent of adult Americans over the age of 20 obese and 34 percent overweight. 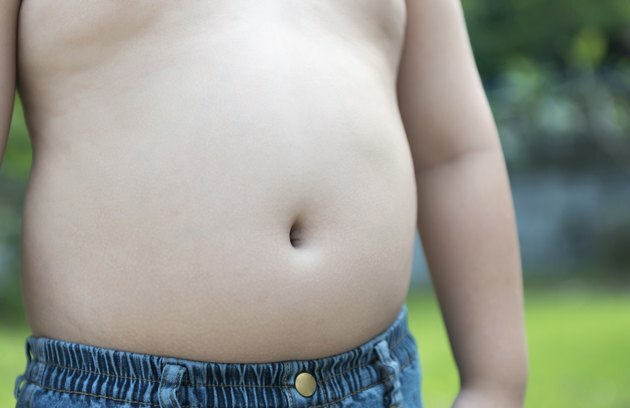 Eighteen percent of adolescents between the ages of 12 and 19 are obese, as are 20 percent of children ages 6 to 11 and 10 percent of 2- to 5-year-olds. To prevent and reverse this obesity epidemic, it is imperative that students eat healthy. One study featured in the February 2011 edition of the "Journal of School Health" looked at the impact of nutrition modifications, such as eliminating daily consumption of soda, on academic performance among sixth graders in a Midwest city school district. The researchers concluded that changes in the food and drinks the students consumed had a positive impact on standardized measures of academic progress scores. In addition to dietary changes, this study also included an increase in physical activity among the students, suggesting that it is the combination of healthy eating and exercise that will most improve academic performance. Many Americans, students in particular, eat a diet high in trans fats from processed foods. One six-year study published in PLos ONE in January 2011 looked at 12,059 people and the relationship between their depression levels and trans-fat intake. The researchers found there was a 48 percent increase in the risk of depression among those who consumed the most trans fats. The main author of the study, Almudena Sanchez-Villegas, is an associate professor of preventive medicine at the University of Las Palmas de Gran Canariaclaims. He claims that trans fat causes inflammation of neurotransmitters that are essential for mood regulation. Students can reduce their risk for depression by reducing or eliminating the amount of processed foods they eat. According to the USDA, only 2 percent of children adhere to the Food Guide Pyramid recommendations, and 16 percent do not adhere to any. Less than 15 percent of students get the recommended servings of fruit, and less than 20 percent get the recommended servings of vegetables. Most school-age children are also not getting adequate amounts of grains and calcium, and are consuming too much saturated fat. If students do not eat healthy diets, they face an increased risk of chronic diseases, including cancer, heart disease and diabetes. According to the USDA pamphlet "Helping Students Learn to Eat Healthy," poor eating habits and inadequate physical activity have been linked to 300,000 deaths each year. Moreover, health-care costs for the chronic diseases that occur due to poor nutrition habits have reached $71 billion each year. If students incorporate lifelong healthy habits like eating nutritious food from an early age, they may be able to reduce and prevent the health-care costs and deaths from poor-nutrition-related chronic disease.